· Bootstrap used for UI presentation. First we will use the Spring initializer page to create our maven project with the dependencies listed above. 2. Leave everything as it is and select the following dependencies: Web, JPA, Security, Postgres, and Thymeleaf. 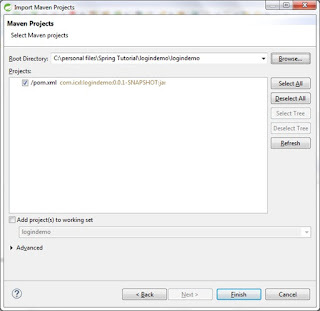 Click on Generate Project button and it will download a zip file (logindemo.zip) with our maven project. 3. 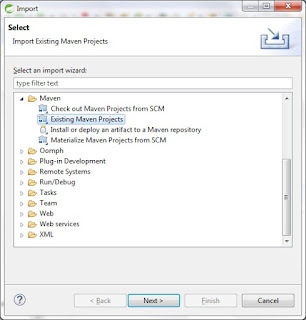 Choose the root directory of the project generated (where the pom.xml file is located) and click on Finish. To execute Thymeleaf in “LEGACYHTML5” mode, we need to add an extra dependency in our pom.xml file → nekohtml. Now we will create user service layer and will inject the UserRepository, RoleRepository and the BCryptPasswordEncoder into our service implementation. //AuthenticationManagerBuilder provides a mechanism to get a user based on the password encoder, data source, user query and role query. //Here we define the antMatchers to provide access based on the role(s) , the parameters for the login process , the success login page, the failure login page, and the logout page . spring.queries.users-query=select email, password, active from userp where email=? spring.queries.roles-query=select u.email, r.role from userp u inner join user_role ur on(u.user_id=ur.user_id) inner join role r on(ur.role_id=r.role_id) where u.email=? <input type="text" id="email" name="email" th:placeholder="Email"